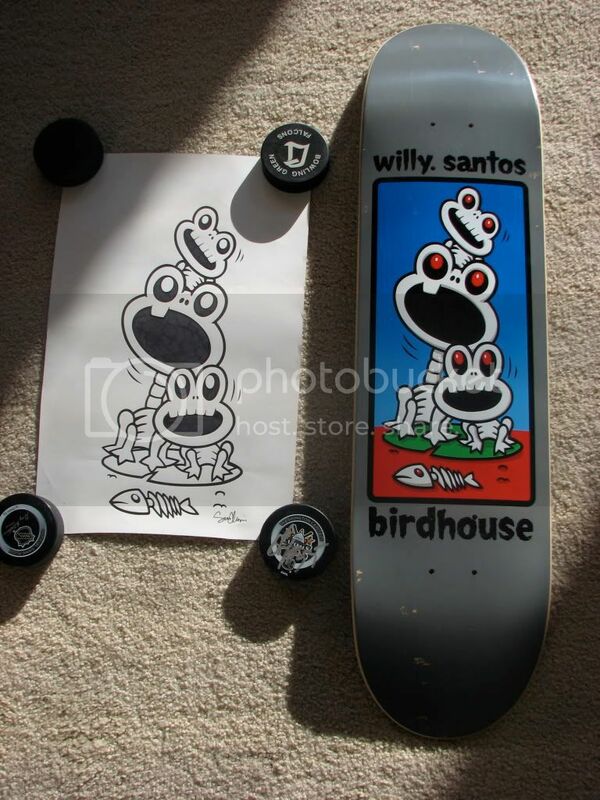 Im trying to track down the Sean Cliver Dead Frogs art for the Willy Santos deck. I have every version of the frog deck. Along with the original art for the first version. And i also have it tattooed. Jofaasd owned it way back when. He then sold it to Greg_S. I then contacted Greg about it in 2014 and he still had it and agreed to part with it after he was done with his home renovation. Since then he's went silent. Maybe he's sold it to someone else since then and they will see this. If anyone has any leads don't hesitate to hit me up. Sorry for the life story.